Dr. Stephen R. Covey described Kevin R. Miller, as an “extraordinary teacher” with a “unique combination of character, competence, and enthusiasm.” His engaging style motivates participants throughout the United States as well as in international settings. Clients appreciate his broad range of experience. As a former Army officer, he observed first hand the power of leadership as a “force multiplier.” He understands the need for strong leaders in today’s challenging world. He is committed to use best practices and practical tools to help people make the genuine changes necessary to become great leaders. Kevin brings a wealth of experience to his clients. He is a retired active-duty Army officer. He served as a company commander in the 7th Infantry Division and held many staff positions in Europe and the United States. Added to his military service, in 1995 Kevin founded his own consulting company, VisionBound International, Inc. VisionBound has worked with public, private and education clients worldwide helping them improve leadership, communication, and customer service skills. Kevin co-authored Customer Service Strategies that Really Work with other experts in 2002 and is considered an international expert on customer service. Kevin’s clients represent a broad, cross section of industries including K-12 and higher education, federal, state and civic government, military, health-care, education, aerospace, oil and gas, automotive, retail and technology. He has been working effectively with clients, representing a number of branches of the military, as well as law enforcement agencies and a variety of public and higher educational institutions. He is also a successful keynote presenter and has presented to his energetic programs to audiences large and small. Kevin has earned three M.S. degrees—one from Utah State University in secondary education, a second from Kansas State University in adult and continuing education, and a third from the Command and General Staff College in strategy and operations. He holds a B.S. in business management from Brigham Young University. Kevin and his wife Denise live in Springville, Utah. They have four children and six grandchildren. Kevin likes to travel and enjoys gardening. He is active in various community and church activities. Beau has over 20 years of experience in healthcare. He has been Administrator of Advantage In-Home Care and has served in many capacities at First Choice Home Health & Hospice, including Director of Operations, CFO, COO and CEO. While at First Choice, he has extensively used the VisionBound system to lead change in his departments and throughout the company. As a result of these efforts, First Choice's clinical outcomes went from the 33rd percentile to 99th percentile in 2 years while saving over $1 million annually in extra overhead costs. Beau is an expert in software systems and has worked with Allscripts to beta test and develop major new features in their Homecare application, including integrations that allow for a fully electronic medical record. As a result of his efforts, First Choice led all home health and hospice agencies nationwide in adopting a fully electronic chart. Beau has been actively involved in the home care and hospice community, serving as Legislative Director and President for the Utah Association for Home Care and serving on the Home Health Financial Managers Association Workgroup. Beau has also had extensive experience in politics and advocacy, serving as a Legislative District chair, vice chair, and education chair in the Utah Republican Party. He has advocated for home health and hospice on Capitol Hill in Washington, DC and in Utah. Beau is an expert presenter, and has given keynote and breakout addresses at conferences nationwide, in addition to teaching multi-day seminars as the sole presenter. Beau's hands-on experience with the VisionBound system will provide participants with the real world knowledge and expertise they need to drive change throughout their companies. Beau has lived and worked in Japan in addition to his home state of Utah which has given him a global perspective on business and healthcare. He currently lives in Provo with his wife Rachelle and their four children. 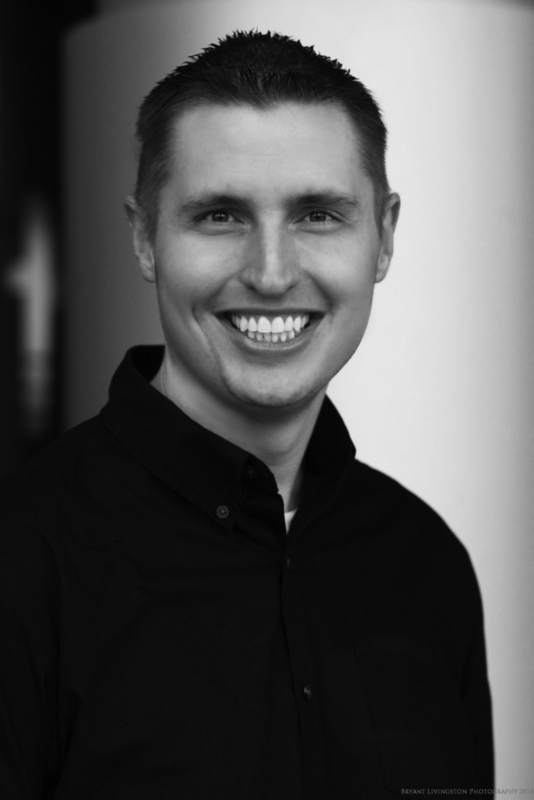 Benjamin Forstner has been a student of human behavior for years, graduating from Brigham Young University with a degree in Human Development. Building on this foundation, he obtained a Masters in Business Administration with an emphasis in Organizational Behavior. He has devoted much of his time to understanding individual motivations, group dynamics, and how organizational structure guides success. Benjamin was selected to start Advantage In-Home Care and served as its Administrator. Additionally, he has worked on the board of Teal’s the Deal Foundation, developing organizational structure, bylaws, and fundraising efforts. He currently sits on the Board for the Utah Association for Home Care as its Legislative Director and serves on the Scholarship Selection Committee for Executive Women International. For the past decade he has worked in Human Resources Management and Organizational Behavior. Currently, he is the Director of Human Resources at First Choice Home Health & Hospice. While working as an HR Director at First Choice, he developed and implemented an onboarding process that raised the retention rate of new employees from 64% to over 91%. Benjamin developed and oversaw a major structural change that ultimately reduced staffing costs by 15%. He has since supported this organizational structure with an extensive educational program, leadership training, and performance management. By adhering to the structural changes Benjamin implemented, the company has recognized and maintained its lowest employee turnover rates. Benjamin enjoys the outdoors and DIY projects. He enjoys self-development and education. He is married with two beautiful daughters who are the center of his life. J. Lynn Jones brings 37 years of public school teaching and administrative experience to the VisionBound team. Besides many years of services as a teacher and principal, J. Lynn has also been a district level administrator supervising Special Education, Title I and a variety of other federal programs. J. Lynn is a Certified Trainer in Crucial Conversations®, Crucial Accountability®, Influencer Training®, and Change Anything™ Training and in the VisionBound Customers Only Want 2 Thngs. He has extensive experience introducing and teaching these skills to employees in school districts, charter schools and education settings. Clients continually praise J. Lynn for his ability to help them address real-life education challenges with an engaging and personable approach. He uses personal examples and is very conscious of his audience. He shares meaningful stories and relevant content in a thorough and productive manner. When people finish training with J. Lynn, they feel empowered to make change happen. J. Lynn has also worked with many school boards, school faculties, and school support teams to enhance the education customer experience. In addition to his experience as an educator, administrator, consultant, and trainer, J. Lynn is a skilled presenter. He has delivered keynote speeches to a wide range of audiences at organizations such as the National Association of State Special Education Directors, Utah Association of Elementary School Principals, the Utah State Board of Education, Utah Association of Public Charter Schools and Brigham Young University. J. Lynn received a bachelor’s degree in elementary education, a master’s degree in community school administration, and an educational specialist degree in public school administration from Brigham Young University. He was also recognized as Utah’s National Distinguished Principal and is a recipient of the National Milken Educator Award. John Norton's mission statement reads "to live with integrity and make a difference in the lives of others." He has sought to live up to these principles since graduating from West Point in 1970. John's army career included combat tours in Vietnam, border patrols and commands in Europe, serving as a Battalion Executive Officer and Brigade Operations Officer, ROTC Professor of Military Science, and serving in the Defense Intelligence Agency. Upon his retirement from the military in 1992, John has worked as a Senior Consultant and facilitator for the Franklin Covey; Deputy Project Manager for the World Bank; Director of Learning and Innovation, Adjunct Professor for International Business, Senior Consultant at Shenandoah University; and Senior Vice President and Director of Human Resources for First Bank. His clients have included Rubbermaid, Trex, Lear, Poly One, and the Russian Ministry of Energy. John has also served as the Lead Facilitator for the Department of Defense Executive Leadership Development program (ELDP) training and graduating over 180 DoD managers over the three years. In July 2017 he began work as the East Coast Director and Senior Consultant for VisionBound™ International, and has been working to introduce their leadership, team building and customer loyalty programs on the East Coast. He currently serves as the Chair for Shenandoah University’s Center for Public Service and Scholarship, Board Member of the West Point Society of Northern Shenandoah, and Treasurer of the National Pathfinder Association. John holds Master of Arts degrees in International Relations (MAIR) from the University of Southern California (USC) and in Organizational Behavior (MAOB) from Brigham Young University (BYU). In addition to the United States Military Academy, he is a graduate of the Command and General Staff College, and the Army War College. He feels his greatest work, however, is within the walls of his home, where he and his wife, Cindy, are the proud parents of seven wonderfully engaged young adults, ages 30 – 40 (which includes an “adopted” Russian daughter), and 16 grandchildren. He believes very much in “Carpe Diem” and lives his life to make a difference every day! Born to a Ghanaian father and a Liberian mother, Ayim was raised in both Ghana and Liberia. Ayim currently serves as member of a Global Steering committee for a worldwide network of professionals’ organization and he is responsible for the Africa Region. Ayim is the Founder and CEO of Bountiful Technologies Ltd, an IT consulting firm base Ghana, West Africa Previously, he worked in the insurance industry as an IT and business process manager for over 10 years. He has over 10 years of experience of proven ability to translate business needs into technology requirements that support company’s business objectives. A social entrepreneur, he has successfully started three public-service business and social ventures initiatives. Ayim holds a Bachelor of Science degree in Management and Computer Studies from Wisconsin International University College, Ghana and Higher National Diploma (HND) in Civil Engineering Technology from Accra Polytechnic, Ghana. Ayim is currently pursuing a Master’s degree in Public Administration in the George Romney Institute of Public Management in the Marriott School at Brigham Young University, Provo Utah, USA . For more than 30 years, Melannie Denise Cunningham has inspired audiences nationally and internationally as a trainer, storyteller and motivational speaker – sharing personal stories and life lessons about resiliency and living life to the fullest. Speaking from personal experiences as a government worker, community organizer, college administrator and entrepreneur, she connects with people on a level that motivates them to improve their own conditions. She has presented on topics surrounding diversity and inclusion, customer service and intercultural communications for companies such as State Farm Insurance, Key Bank, Washington State Department of Social and Health Services and more. Melannie is a popular presenter because she is versatile, “real,” and creates a positive, safe environment for participants to learn and grow. Cunningham is President and CEO of the Cunningham Network, Inc. a public relations and marketing agency she founded that provides business development and media production services to community focused enterprises. Since 2006 she’s served as Director of Multicultural Recruitment for Pacific Lutheran University(PLU) in Tacoma, Washington where she creates and executes strategy to help the university increase enrollment among students of color. 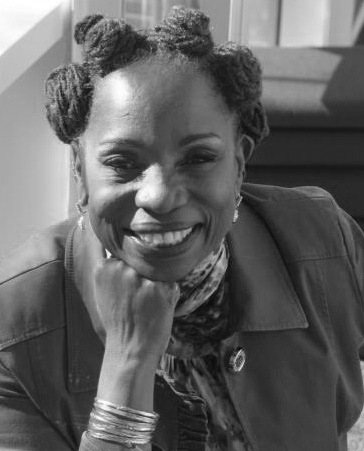 In 2012, Cunningham received a Master’s in Business Administration degree from PLU with a focus on entrepreneurship where her study led her to develop an import/export venture to import food, wine and other commodities from Africa to distribute in the United States as a “trade in addition to aid” strategy for Africa’s social concerns. Her vision is to return profits to the African countries where she conducts business to invest in improving education and empowerment of women and girls. Cunningham has traveled 15 times since 1995 as an entrepreneur and humanitarian to various parts of Africa including South Africa, Malawi, Namibia, Swaziland, Kenya and Uganda. Before PLU, Cunningham served in diverse capacities within local, state and federal government administration. She was Deputy Equal Employment Opportunity Officer to the U. S. Department of Navy and the EEO Officer for the City of Tacoma, Washington. She also served as Manager of the Materials Management Center for the State of Washington and with the U.S. Department of Commerce as a “Community Partnership Specialist” for the 2000 Census. Cunningham sits on boards of several influential organizations, including Women of Vision, an NGO focused on improving the lives of women and children globally; and ClearChannel Radio Seattle the parent corporation that owns seven radio stations in the Puget Sound. She is an active member at the local and regional level of Delta Sigma Theta Sorority, Inc., a 100 year old public service sisterhood of over 200,000 college-educated Black Women, and has the distinct honor of being a founding member of the chapter at Washington State University (WSU). In addition to her MBA, she he holds a Bachelor of Arts degree in General Studies from WSU and a certification in Broadcast Production Technologies from Bates Technical College. Judith has over 18 years of experience releasing human potential in individuals, teams and organizations. She is known in many Asian countries as an expert in Talent Management, particularly in her native Philippines. She uses both a human and an analytical scientific approach and is one of the first Filipinos certified to use and administer EQ-I 2.0 and TESI. Judith consults in the Philippines, Myanmar and abroad with local and international organizations across different industries; education, multi-national pharmaceutical, BPO, public organizations, international government agencies, manufacturing, service, and retail. 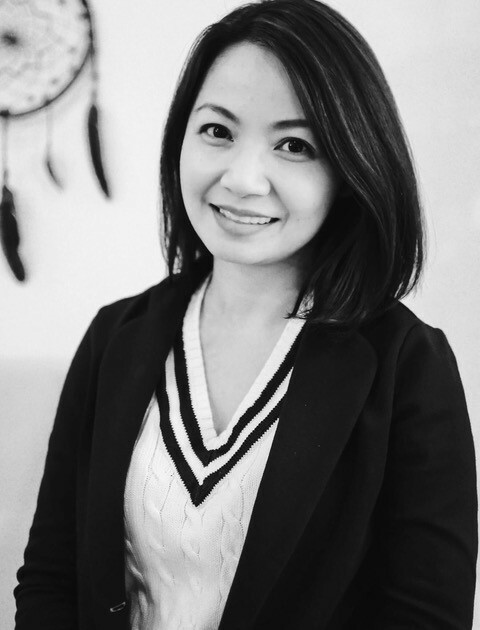 As Chief Learning Officer of Linchpin Asia Inc., she has delivered transformation initiatives, designed leadership development programs, faciitated corporate strategic planning and teambuilding. She has earned her education from both the University of the Philippines and the Ateneo de Manila University for her undergraduate and MBA, respectively. Judith also serves as a part time faculty of the De La Salle College of Saint Benilde and is a charter member of the International Association of Facilitators in the Philippines.